Yet another oil spill has stricken the United States – this time in the Yellowstone River in Montana. Gallons of thick crude oil have been emptying into the picturesque waterway since last Friday out of a ruptured pipeline. Instead of BP this time, ExxonMobil is to blame, although they say they remain perplexed as to what the cause of the leakage was. With this new development and the numerous spills before it, we have to wonder why there still isn’t more urgency for a non-oil future for the U.S. Currently, around 42,000 gallons of crude has dumped into the Yellowstone River, washing up on the shores of many Montana towns. The pipeline, which was said to be safely buried 8 feet under the river, suddenly cracked, possibly due to the erosion power of increasing recent flood waters. The polluted water is now seeping into nearby farmland, making it impossible for farmers to graze their animals. Some have even reported that the fumes from the spill are so great, they are unable to stay in their homes. The Environmental Protection Agency claims that they may do indoor air testing for such fume claims, but no guarantee has been made yet. Thus far, the oil spillage has traveled over 80 miles downstream, as well as upstream, reaching parts of North Dakota. 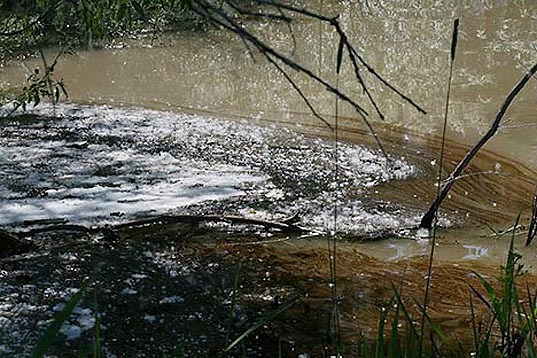 The spill, concentrated in the 25 miles closest to the rupture, has invaded waterways, groundwater, and important fishing areas, as well as local farms. With the vagueness of ExxonMobil’s responses, it is unclear how long it will take to clean up Friday’s spill. The company has been ordered to make safety adjustments before using the ruptured pipeline again, including burying it at 25-30 feet instead of at the previously required 5-8 feet. 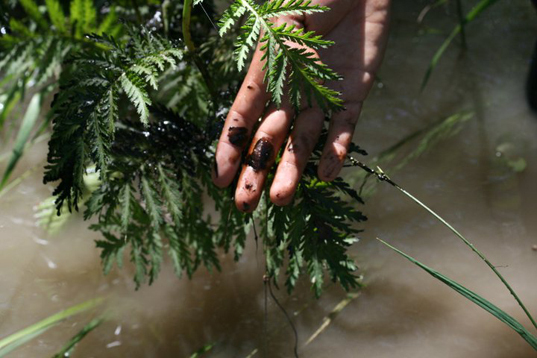 Oil spills are OKAY and even good for the environment if they are done by American Companies. But if BP is involved its gross negligence, environmental disaster. The urgency is there, just that there is no suitable replacement that solves our problems RIGHT NOW and without bankrupting the nation. Change takes time. Yet another oil spill has stricken the United States - this time in the Yellowstone River in Montana. Gallons of thick crude oil have been emptying into the picturesque waterway since last Friday out of a ruptured pipeline. Instead of BP this time, ExxonMobil is to blame, although they say they remain perplexed as to what the cause of the leakage was. With this new development and the numerous spills before it, we have to wonder why there still isn't more urgency for a non-oil future for the U.S.